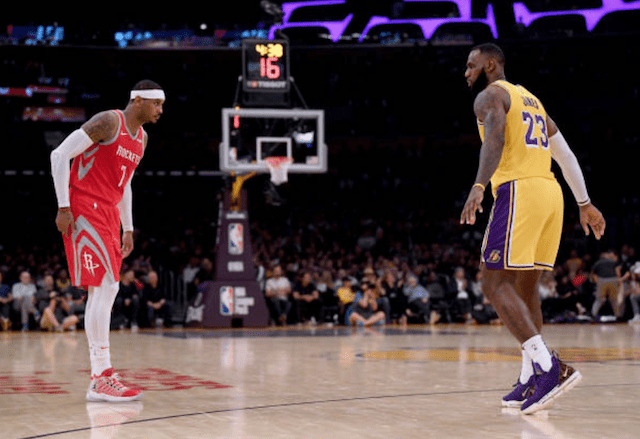 When the Houston Rockets decided to part ways with Carmelo Anthony after he played in just 10 games, the veteran forward was naturally linked to LeBron James and the Los Angeles Lakers. 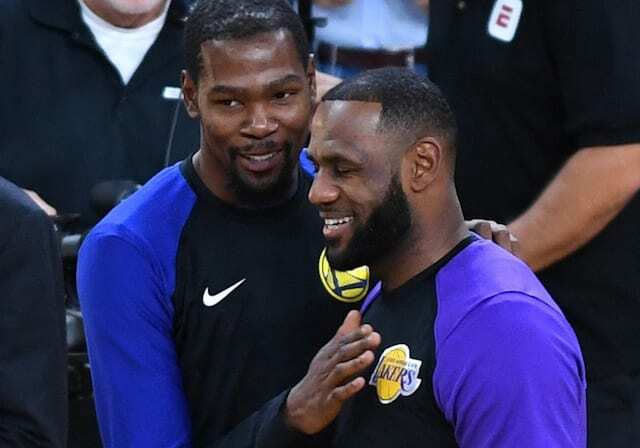 As there was speculation about the two friends teaming up in Los Angeles, James deflected the possibility last month to president of basketball operations Magic Johnson and general manager Rob Pelinka. He also made note of the Lakers not having an open roster spot. Since then, Anthony has been working out in hopes of joining another team while James and the Lakers have won 13 out of their last 17 games. After the Lakers signed Tyson Chandler, they have no roster spots remaining and would have to waive a player in order to sign Anthony. As the 34-year-old Anthony initially accepted a sixth man role with the Rockets, it is unclear if his stance has changed since. For the Lakers, they have plenty of depth at the forward positions. With Kyle Kuzma recently showing improvement on both ends of the court, it is very unlikely Anthony can get the type of minutes he is looking for in head coach Luke Walton’s rotation.